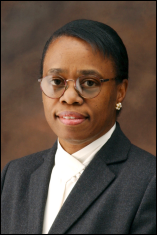 The Aerospace Corporation has announced that Dr. Wanda M. Austin will succeed Dr. William F. Ballhaus Jr. as president and chief executive officer upon his retirement on January 1, 2008. Dr. Austin currently serves as the senior vice president of The Aerospace Corporation's National Systems Group in Chantilly, Va. She has been with the company since 1979 and has served in positions of increasing responsibility, including general manager of the MILSATCOM (Military Satellite Communications) Division and senior vice president of the Engineering and Technology Group. Austin will be succeeded by Dr. Manuel De Ponte, currently general manager of the MILSATCOM Division. In making the announcement, Ballhaus said: "Wanda's technical and management experience and her proven leadership skills will provide a sound basis for continuing to increase the value we bring to our customers in meeting their program execution commitments and achieving 100 percent mission success. Her extensive knowledge of the company and the programs it supports will make this a seamless transition at a critical time for our nation's space programs." Austin earned a Bachelor of Arts degree in mathematics from Franklin and Marshall College, Masters of Science degrees in both mathematics and systems engineering from the University of Pittsburgh, and a PhD in systems engineering from the University of Southern California. She is a member of the NASA Advisory Council and is a fellow of the AIAA (American Institute of Aeronautics and Astronautics). Austin has received numerous awards and citations. Among them are the Air Force Scroll of Achievement, the National Reconnaissance Office Gold Medal, the U.S. Air Force Meritorious Civilian Service Medal, the Air Force Space and Missile Systems Center's Martin Luther King Spirit of the Dream Award, the Society of Women Engineers Upward Mobility Award, and the Women in Aerospace Outstanding Achievement Award. The Aerospace Corp.'s board of trustees selected Austin after an extensive nationwide search in which the board was assisted by the executive search firm of Heidrick & Struggles. "The board of trustees unanimously selected Dr. Austin as the best candidate for leading The Aerospace Corp. into the future," said Lt. Gen. Donald L. Cromer (USAF, Ret. ), chair of the board. The Aerospace Corp. is an independent, nonprofit company that provides objective technical analyses and assessments for national security space programs and selected civil and commercial space programs in the national interest.